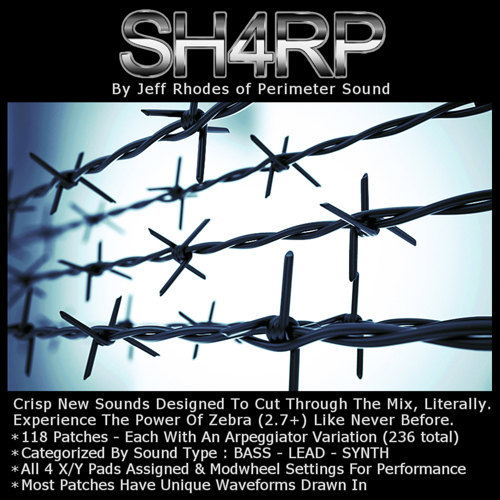 SH4RP - 238 new patches for the Zebra vsti V2.7 If you are looking for cutting edge sounds, then you have arrived. No wimpy pads here, no long droning atmospheres, only Basses, Leads & Synths. No matter what kind of music you make, when you need something crisp that's gonna slice through your mix, then you need SH4RP. Howling low basses, shredding new-school leads, and all manner of futuristic sounding synths are here for the abusing.